Super Hot!!! 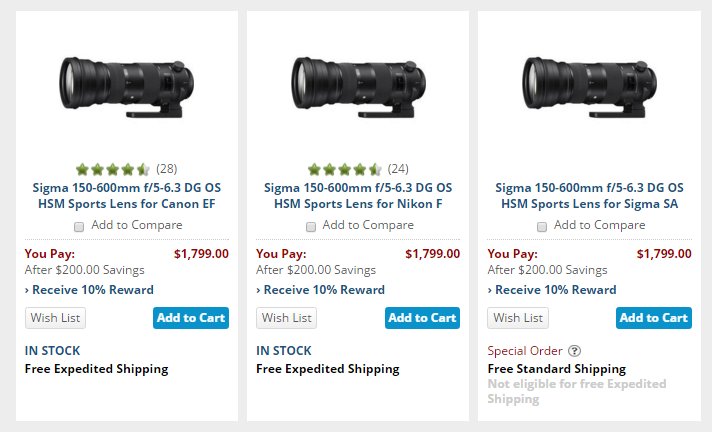 Today, B&H has a great deal on Sigma 150-600mm f/5-6.3 DG OS HSM Sports Lens for only $1,799. You can get instant $200 + 10% reward + $308 free Accessories. This entry was posted in Hot deals and tagged Sigma 150-600mm f/5-6.3 DG OS HSM Sports Lens deals/ cheapest price, Sigma lens deals on March 23, 2016 by admin.